Rest of other life specific queries regarding other areas of life we will not covering in this report. 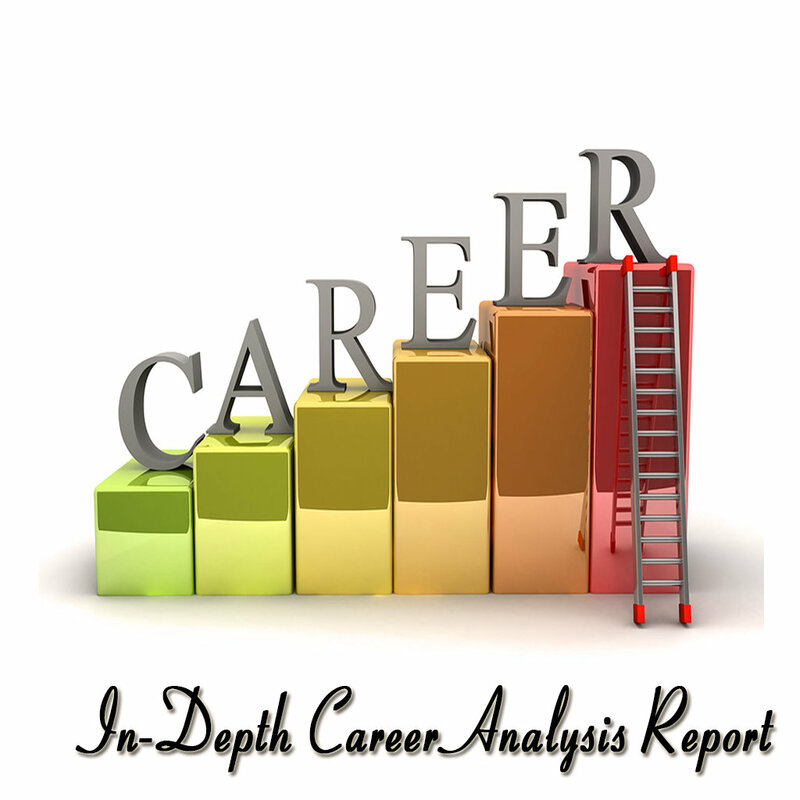 We have divided Career Life report into 4 subsections i.e Best Career Selection, Profile analysis, Overall Career growth analysis, Educational prospects with career, Availability of Business Prospects and understanding overall Financial Ups and down.. If you are seeking advance understanding for your Career growth, Job Selection Process, Business analysis, Financial Ups and Down or choice of profession you are desiring for, you should select this report - " Option O : Advance Career, Education, Financial, Business and Life Analysis Report (Multiple Queries | Voice Mode) " in the payment section@3,500. This Report is for those users who have thorough or basic understanding on basic jyotish principals and wanted to get deep insight into their birth chart in technical jyotish terms. We will be covering the voice session within 10 days after the date of booking of your case in appointment section. The Price is only for hard work, time and energy spent on delivering that suggestive and Spiritual Guidance.Our only Motive is to provide in detailed and hidden insights of seeker life via our analysis. Here Users have the freedom to choose from given options for Selecting different reports based on their mindset up and deepest answers they are looking for. This report is suggested for Advance users only and time duration of this report will be around 60-90 minutes ( 1 hr 30 minutes approximately). Business / Profession: Area of work - manufacturing, consultancy, agency, service industries, research, etc. What kind of product / category is suitable: art & culture, banking & investment, chemical engineering & architecture, luxury items, entertainment, metal / mining, farming, real estate, research, science & technology etc. Predictions for the next 10 years in career including time of promotion / transfer / problems / setbacks & period when you should avoid changes and need to be cautious. Helps you find your periods of highest growth or golden period professionally. Wishing you a Good Jyotish reading session.